“We looked for harmful algal blooms – and we learned about how this is happening because of people and climate change. Fish eat these algae. Sea lions eat the fish. Scientists are seeing how harmful algae is affecting neurochemicals of the sea lions’ brains – and that was a memorable lesson for me,” says Clara Herrera, a fifth-grade teacher at Clayton Elementary School in Austin, Texas. 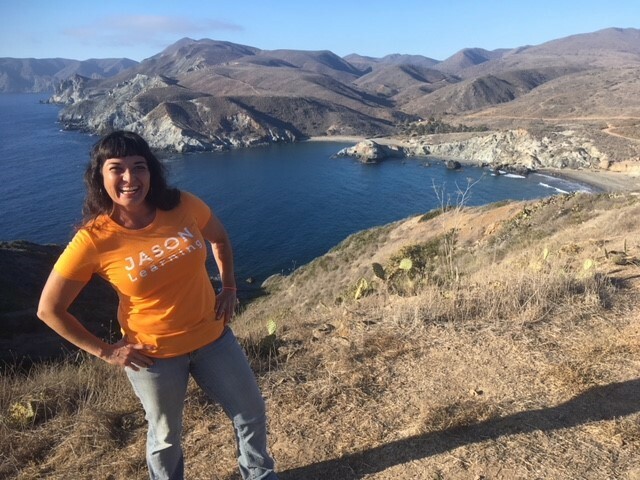 Herrera is excited and descriptive when she talks about her recent five-day research expedition as a JASON Learning Teacher Argonaut. Herrera was selected as an Argonaut and in September, she joined a group of students, educators and scientists from around the United States in a weeklong trip on Catalina Island – one of the eight Channel Islands off Southern California. Since 1989, the JASON Argonaut program has provided hands-on, scientific field work to more than 1,000 students and educators worldwide, many of whom have gone on to pursue degrees and careers in science. Each year, JASON’s Argonaut program sends selected students and educators on one of several expedition opportunities to work directly with the world’s leading scientists and engineers. Past Argonauts have studied the rainforests in Peru, volcanoes in Hawaii, ecosystems in Florida, and much more. Herrera and her students are now looking at water in a whole new way. They are studying it – and even recycling their unused, clean water after their science experiments into a homemade sifting bucket and pouring it into the earth to feed the Edwards Aquifer that surrounds their school. Herrera’s students are true water conservationists – and Herrera is an impressive citizen scientist, equipped with real-world experience to teach her students these sustainability skills after her Argonaut experience. Dell and JASON work together as part of Dell’s Youth Learning program. The partnership has provided free access to JASON’s STEM (science, technology, engineering, and mathematics) learning materials to students of the Greater Austin Area’s public schools – including digital labs, content and activities, to utilize in the classroom and on their own. Dell’s support also included the sponsorship of two Austin area Argonauts to enter this year’s Argonaut program. Herrera was selected for one of these spots after submitting a personal essay, reference letters and a personal video profile as part of the application process. An enthusiasm for science is key in the selection process as well. Herrera says she has always loved science. She credits her Argonaut experience for strengthening her appreciation for water. The strong connection between people and the planet was a focus of Herrera’s Argonaut journey. This year’s Argonauts helped on a project named “Conserving Marine Life Along Catalina’s Coast,” in partnership with Earthwatch and hosted at the Wrigley Marine Science Center on Catalina Island. Catalina Island features stunning coastal scenery and nine Marine Protected Areas (MPAs) – which function by setting boundaries that exclude extractive activities from occurring in special marine places, much like nature reserves on land. By doing so, they protect more than just one or two species, but all the important organisms and linkages within those ecosystems. “We counted animal life and recorded our data into the online system. This was added to a global data bank and seeing that was remarkable,” Herrera says. 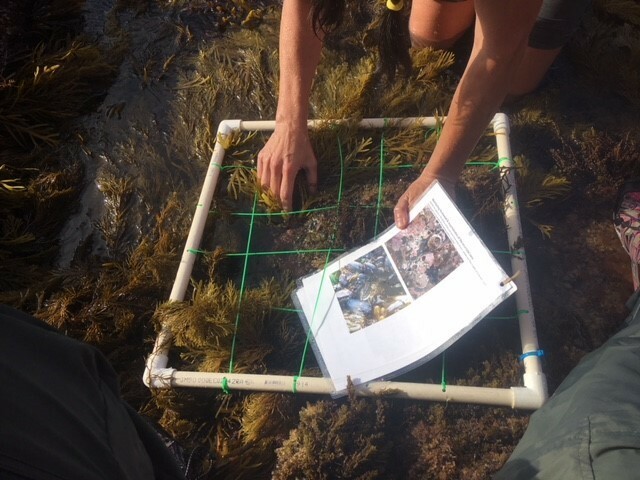 By documenting the daily activities and conditions of Catalina’s MPAs, Herrera and her fellow scientists helped gather critical information as part of a larger study on the influence of climate change on MPAs. The work by Herrera and her co-Argonauts will help scientists tell the story of the critical role that MPA’s play in coastal conservation and the health of our coasts amidst a changing planet. They hope their work will inspire policies to help safeguard our coastlines. Back at home in Texas, water conservation is a hot topic for Herrera and her community as drought conditions worsen, and new water sources are scarce as the population grows. Herrera believes hands-on learning prepares students for the real-world – and helps them understand the reality and urgency behind environmental challenges. She is grateful for how her three sons – ages 20, 17, and 14 – support her appetite for adventure and her passion for the environment. “I’m trying to show my children and my students what you can achieve on your own,” she says. Herrera recently completed a fellowship to study at the Monterey Bay Aquarium Coastal Systems Teacher Institute, and she climbed Mount Kilimanjaro after helping raise money and awareness for the need for clean water wells in Africa through the Austin-based charity Water to Thrive. All Argonauts are encouraged to be peer role models for their students and teachers back home. “There’s this pervasive belief that the only people allowed to ‘do science’ are the academic elite, and only after decades of study and degrees. Our Student and Teacher Argonauts show that everyone can contribute to the scientific process, and that it can be fun, engaging, and inspiring,” says Patrick Shea, executive vice president of JASON Learning. Herrera learned about quadrants, and how to use this tool, from the scientists at the Wrigley Marine Science Center. Herrera will share her Argonaut experience with her students and their parents by inviting them to hear more about her trip and by building their own quadrats for her classroom. These are made of PVC piping and used to study a specific area out in the field. Once placed on the school grounds, students can monitor the racks and study environmental changes over time. Explore more information on the JASON Learning Argonaut program. Learn more about Dell’s Youth Learning program at dell.com/youthlearning.